The Youngstown State University men’s basketball team celebrates during the Penguins 103-93 win over the University of Wisconsin-Green Bay. 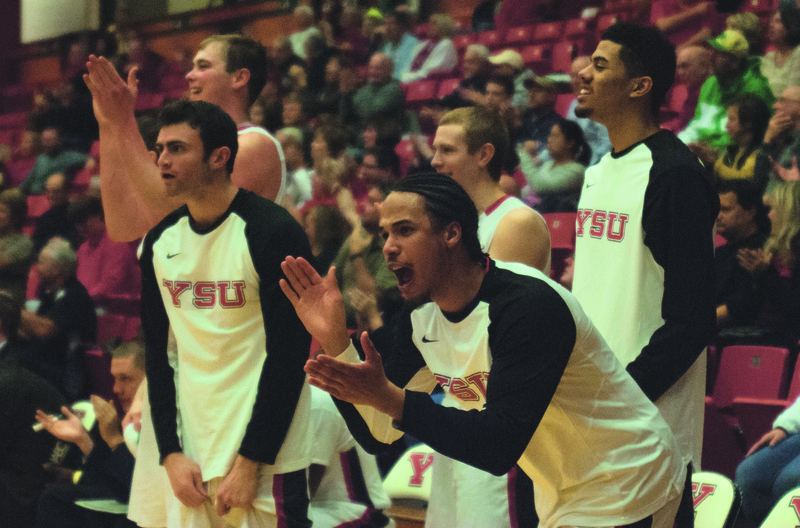 The Youngstown State University men’s basketball team has experienced a number of highs and lows this season. For the Penguins, every exciting win is followed by a disappointing loss. The Penguins know that the team has been up and down early in the season. 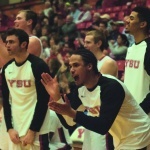 YSU point guard Francisco Santiago said the win against the University of Wisconsin-Green Bay was a “confidence builder” after the Penguins’ 81-65 loss to the University of Wisconsin-Milwaukee. “It was huge for us — a huge confidence builder because we came out and we just really didn’t play with a lot of energy and a lot of effort,” Santiago said. “I think not hitting shots early really caused us to not play as hard as we usually should on Thursday. We knew Green Bay was 3-0 in the league, and this was another big test for us, just like the Oakland game. 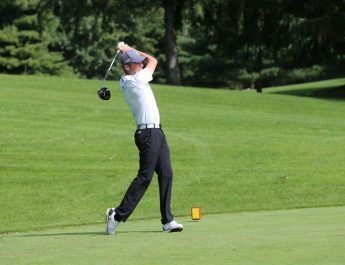 After the Penguins’ 103-93 win over Green Bay, YSU head coach Jerry Slocum is concerned the team might have another deflating performance against Northern Kentucky University on Thursday. 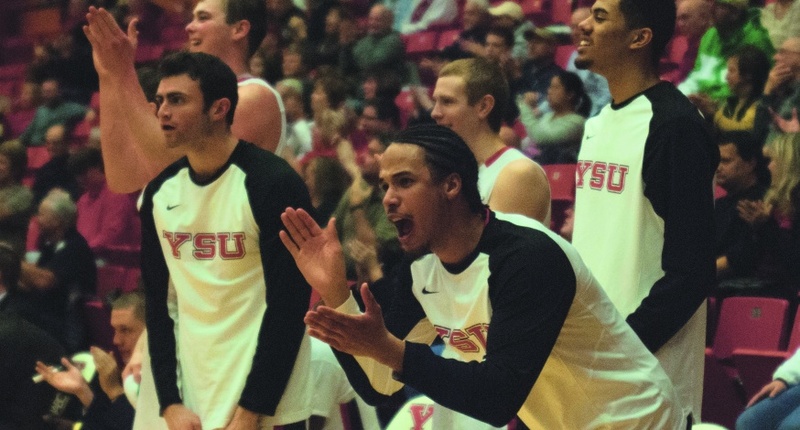 YSU beat Northern Kentucky 78-74 in the only matchup between the two programs on Dec. 31, 2014. Last season’s game was a nonconference matchup, but this is Northern Kentucky’s first season in the Horizon League. Slocum said the team will need to work on its defense. The Penguins have been playing better since entering Horizon League play, but their defense has allowed 98 points or more in three of the team’s first four conference games. Slocum said the team’s youth is part of the defense’s problem. He said young players tend to focus on their offense before they get to college and their defensive skills usually need to develop.